Just sharing a chronical of my journey into the uncharted territory of cultivating edible mycorrhizal mushrooms. Comments, advice etc. more than welcome. I have a bit of a unique opportunity on several fronts as I am in the process of starting an edible forest garden at a new property which will be planted this fall, all the tree stock is being held in dense plant spacings at our current property which makes it fairly easy to hit them with regular innoculations of mycorrhizal spore slurries of chosen edibles.. My hope is that by steering the mycorrizal species heavily in the direction of choice edibles during the initial establishment stage they have a higher chance of becoming predominant fungal species long term. Mushrooms - Boletus edulis, Morel and the Chantrelles are the primary mushrooms that will be used but Lobster, hedgehog, matsutake have also been added on occasion and possibly some others in future. Some of the morels are from local collections I have done, everything else is sourced from purchased dried Canadian wild harvested mushrooms. Trees/shrubs that are being innoculated:. include; chinese chestnut, paw paw, european pear, asian pear, plum, cherry, mulberry, korean nut pine, saskatoon, alder, white oak, pecan, hickory, hazelnut, haskap and likely a few others I have forgotten atm. Methods - Spore slurries will be the only innoculation method (no spawn), both because it is simple, cheap and more importantly because imo the high degree of genetic diversity of spore vs spawn increases the chances of finding a good fungal match for my environmen/host tree. Several different application methods have been used. Bascially we are taking a shotgun approach both in terms of mushroom species, tree species and application methods. Assuming I can figure out how to upload pics, attached are some pics of the "innoculation beds". a few application techniques are being used. Most trees were bought in bare root and dipped in a slurry of all the mushroom species prior to planting then received regular drenches since the start of the season. Some had already been planted for a year in the beds backing on to a forest I expect it to be harder to colonize these as they likely already had existing mycorrhizal populations well established. In the coming weeks I will be trying to innoculate some potted oak trees by first drenching with hydrogen peroxide treated water to kill existing mycorrhizal populaitons then rinsing and drenching with spore slurry. I also plan to germinate some host tree seeds directly in sterile potting soil and innoculate with spore slurry repeatedly from the start. This is the method I believe most likely to succeed. A view of the site where everything will be transplanted to come fall. 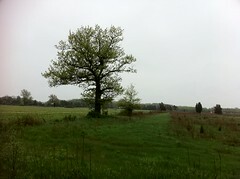 The oaks will be transplanted in the area around the existing oaks shown in the first picture. As oaks are known to host more mycorrhizal species than most other hardwoods I would expect some strong nycorrhizal competition for the trees planted near the established oaks. 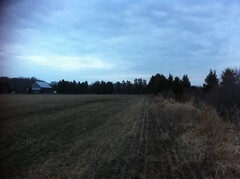 The oaks will be planted here but the rest of the species will be planted about 500 feet away in previously farmed land with little existing trees shown in second photo. Here I would expect minimal native mycorrhizal competition but who knows??? Thanks for keeping us updated on your project. I don't know much about fungi but I am hoping to inoculate the soil where we will be planting hundreds of oak acorns in the coming years. This is at a nearby wildlife refuge where I volunteer. I was thinking of building up some "oak compost" which hopefully had all the fungi that our oaks (Quercus garryana) prefer. When we plant the acorns we would put a handful of this compost in the hole. But I like your method too so I am curious to know how it works out. 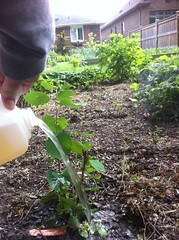 You can use pretty much the same technique I have described here to make a compost tea with soil from around your existing oaks and have at least as good effect as compost imo. Only difference is you use soil instead of spores and run an aerator for the bacterial extraction then shut the aerator off and add more soil for the fungal extraction. I have made compost tea but I am not familiar with "bacterial extraction" and "fungal extraction" - can you point me in the right direction on those procedures? Hi Adunca/Dave - sorry for the long delay in answering. I am not big into compost tea outside of what I have described here but my understanding is common techniques are good for bacterial dominated teas but do not provide sufficient aeration for fungal ones so fungal source material is just added at the end of the process for a day or two, just long enought to form a mycelial slurry then it is applied to the medium where aeration is no longer a problem. A few updates on the project..
First my current favourite mushroom and likely the most unlikely to reach fruition... Matsutake (Pine Mushroom)!! Huge amounts of work has been done in asia to try to cultivate these with no success that I am aware of. As the name implies they generally occur on pines but seem to have complex requirements to fruit, multiple tree species and/or interrelations with other fungi. Either way I love to eat them so nothing to lose, lots to gain if something comes of it. One of the topics Stamets touched on in Mycelium Running was temperatures required for spore germination, he mentioned timing them with when the mushrooms fruit naturally outside as likely the best approach. This accidental discovery kind of fits with this logic as morels are known to come up very early in the spring; I went away for a week and forgot some rehydrated morels in the back of the fridge, the smaller ones (which likely had not fully dropped their spores) were totally covered in mycelium upon return. These ones I added to the blender with some spring water then diluted into a larger amount of water and applied to the beds. 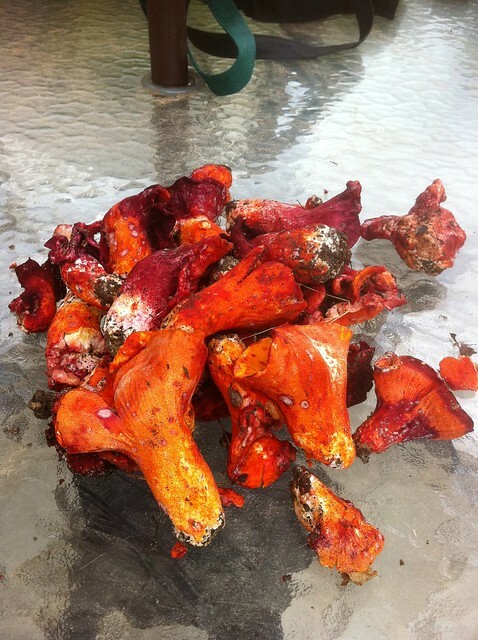 Catch of the Day: Lobster Mushrooms! I found these beauties flushing in around an oak tree in a forest nearby our property. About half of them were a bit too far gone but took them anyways, perfect for some innoculations. Never had these fresh before, only dried and have to say they are one of the more bizarre things I have ever seen in nature. They look, smell and taste dead on for lobster. Had a bunch of hedgehog mushrooms that had a few worms from the same hunt (also on oak) and added them to the lobsters for good measure and spread them around an oak tree on our property. Not sure why mushrooms love oaks so much but they are the number one mycorrhizal host east of the rockies by a long stretch from what I can tell. 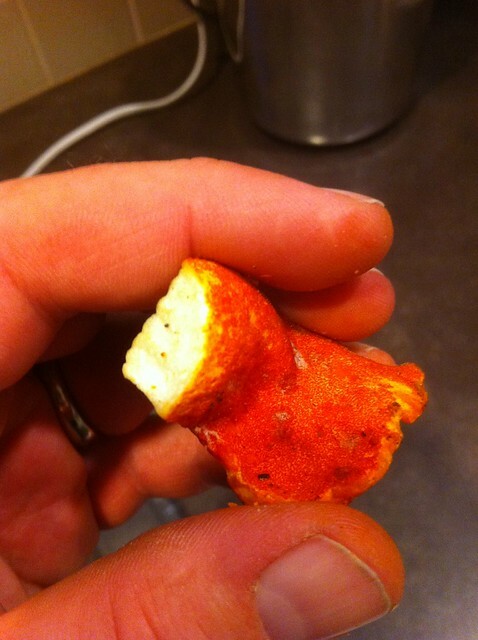 For anyone unfamiliar with the biology of lobster mushrooms they are actually an example of a mushroom (two different potential species actually) that has been parasitized by the lobster, from what I can tell the host mushroom is actually still alive and the parasitoid fungi covers the exterior. My assumption for this experiment is that the mycelium still present on the stem buts would be the host species and the white specks on the mushroom are the parasite spores so no need to include an uninfected host mushroom in the inoculation. If anyone knows otherwise please let me know, still plenty of the host species popping up that I can grab if needed. Keep up the great work on this project. Been monitoring! Where did you get the korean pine nut seeds from? Very interesting thread, I'm sorry I had missed it up until now. Thank you for posting the info and pictures. Any updates you can give as time goes on will be greatly appreciated. 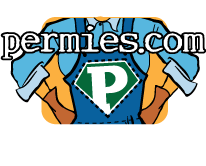 I've been working on inoculating cut logs and stumps with plugs colonized with mycelium from the culinary and medicinal species available from Fungi Perfecti. Have to wait until spring at least to see how they survive. 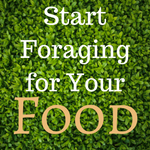 I am also inclined to find ways to encourage the growth of these (and other such as you mentioned) species to "naturalize" in our fledgling food forest and surrounding woods. 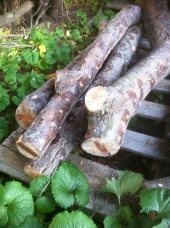 The plug/cut log method has been used for many years and is likely to be reliable in our area, but i'd like to find a way to work with inoculating whole logs that then become the foundation of hugelkultur beds. My initial thoughts are to grow out the mycelium in pre-soaked straw bales and use this to cover logs that have been dropped and placed on contour where the new hugelkultur bed is desired. With a thick straw covering in spring or fall, it should be easy to maintain good growing conditions for the mycelium. 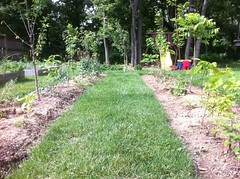 Additional topsoil and the plant layers of the food forest could be planted around these log swales. I'll try it this spring. One other thought is that most soil organisms, both fungi and bacteria, co-exist in diverse community environments (many thousands of species per square meter in healthy soil). I'm not sure your wash with hydrogen peroxide would be necessary for colonization. On hold until spring while I work on the saprophyte portion of the project, I started a thread her if you are interested. Here's hoping some morels pop up come May! The Korean Pine Nuts came from Grimo's Nut Nursery in Ontario Canada, the owner traded them with a collector in Korea for some Elderberry. He did not have any for sale but had some cones he was selling for nuts that I bought. Hi K.B. Sounds like we are on similar paths, hope you don't mind I copied and answered your hugel ideas to a separate saprophyte threat I mentioned above. Re: Your point on hydrogen peroxide I kind of sit on the fence on the issue, the science is so new I doubt anyone can give a concrete answer. I pretty familar with much of the science on trichoderma's (similar to mycorrhiza except not dependent on the root exudates for carbon) and when introduced to clean roots they will completely outcompete most other organisms for at least three months. 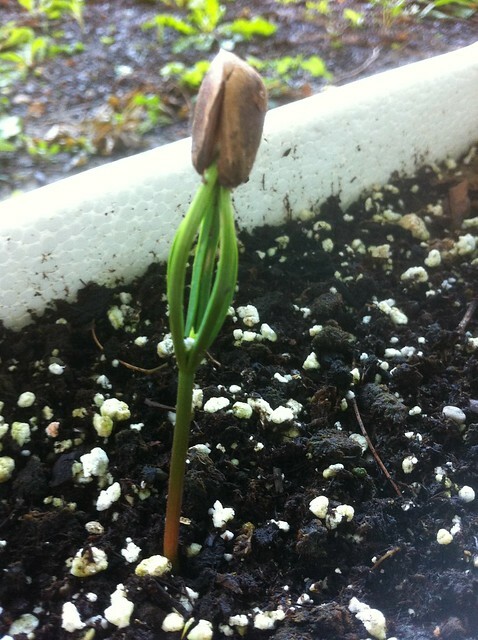 Also if you look at any of the work done trying to commercialize truffle, pine mushroom or chantrelle it is alwasy with seedlings innoculated in lab conditions. My guess is that in more natural situations the root is typically cononized by a wide variety of microbes some of which the target fungi will be able to outcompete. To make the matter more confusing some fungi (pine mushroom in particular) appear to be codependent on one or more other species of microbes. Likely I will try both h202 and without. Great post btw! It certainly makes sense to try both ways and see if you end up with a higher percentage of success with one method or the other. The issue of the commercial pre-inoculated seedlings makes me wonder how much validation work has been done with these methods. I suspect there are many, many variables that play in to each region that it would make it difficult to provide any guarantee of success rates. I would bet that your own methods would likely have just as much chance of success, particularly if you continue to tweak conditions as you observe over time. In 2005, Stewart Craig Miller filed a patent for the growing morels on the roots of hardwood trees. He owns Morel-Farms Inc., a company from Indiana thats sells pre-inoculated tree seedlings (elm). Apparently, he has planted acres and acres of "morel trees" on his farm and he claims to have success with his method, although I don't know much about his farm. 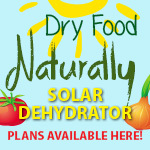 His website, morelfarms.com, has a lot of really interesting info on morel growing. Also, a book that I highly recommend for interested mushroom growers is entitled "Taming the Truffle" by Ian R. Hall, Gordon T. Brown and Allasandra Zambonelli. 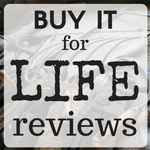 It has lots of info about the successful European truffle growers in Europe and New Zealand. People also have grown Oregon truffles in Oregon using innoculated Doug-fir seedlings and field applications of spore emulsion. (There are now truffle-growing classes in Eugene every winter at the Oregon Truffle Festival. 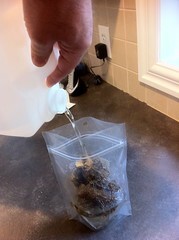 )Personally, I have had some success growing black morels in Oregon from pouring spore emulsion onto burn pile areas. I also have Oregon white truffles in my main garden from the roots of Douglas-firs growing nearby. 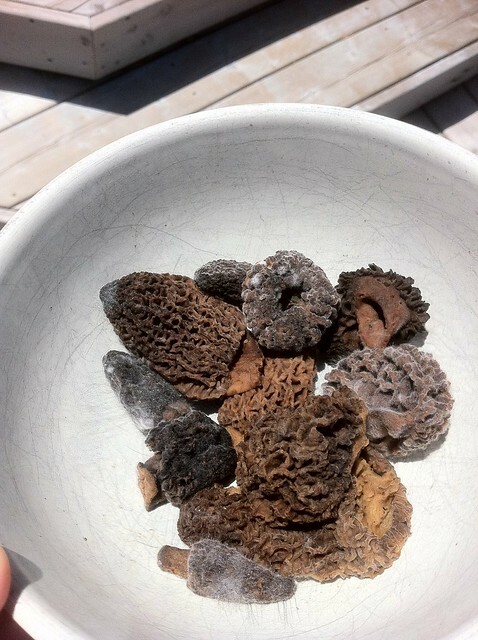 Truffles and common morels seem to prefer calcium-rich, loose soils. 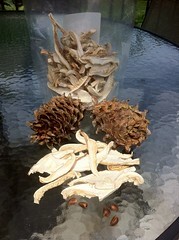 I would enjoy hearing more from anyone who had success with growing morels and other mycorrhizal mushrooms. This thread is awesome! Please keep updating I am very interested in your techniques and results. I am putting in a food forest this spring and want to incorporate as much edible mycelium as possible. I am also located pretty close to you so our seasons should be similar, about 45min NW of Detroit. Keep up the good work and keep sharing your work. PLM – thanks for the link and book rec, I had checked out the morel farms link a while back and in honesty was unsure if it was legit or not but taking another look I noticed that the owner is actually one of the leading academics on morels so I guess it is. 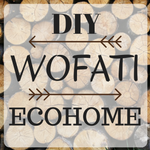 His method seems sound but I lay bets there are much simpler methods that fit easily into permaculture methodology which don’t involve buying expensive tree’s with a disclaimer you are not even allowed to sell the morels from them! The more I look into it the more I believe permaculture could be the missing link to cultivation of many of the mycorrhizal species. The two that seem most plausible imo are Morel and Black Trumpet as both appear to be somewhat saprophytic as well as mycorrhizal. From doing a lot of reading and youtube watching it seems pretty clear that morels have a very wide plant host range, I have seen papers noting so many different hosts (orchids to rasberries to Tulip Poplars) you could almost come to the conclusion that they can colonize most plants. It also seems pretty clear that they will give moderate fruiting (naturals) s when presented with a good source of decaying organic matter such as wood chips, dead leaves, straw (as seen in Paul’s morel video) and huge fruitings when there host is at risk or dies such as after a forest fires or other catastrophic event (burns, dutch elm disease etc.). In my opinion the morel hunter’s lore of looking for the recently dead elm tree more to do with dutch elm disease creating a situation where morels put out a big fruiting due to the death of the morel’s host than morel’s preference for elm trees. Both of these scenario’s are already close to an ideal situation for morel’s in forest gardens, wood chips, straw, hugel, etc. 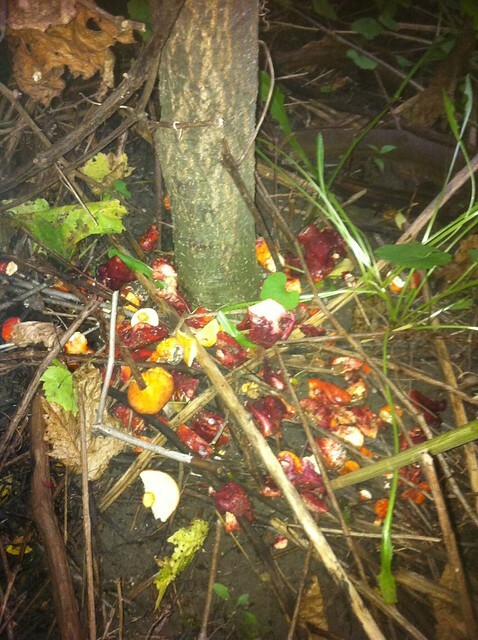 create situations that should support “natural” fruitings and coppicing sure seems like it would be a similar trigger as a forest fire or dutch elm disease. A great example of some “Burn” Morels – this guy’s video’s really put into perspective the dollar value of mycorrhizal mushrooms when you see the effort and money that goes into harvesting them from wilderness areas. The Survivor Man of mushroom picking! Would like to embed these videos but can't seem to figure it out, any help appreciated. Brad - Living in quite possibly the morel capital of the world, you are almost obligated to join in the morel adventure imo! Thanks for the video links. 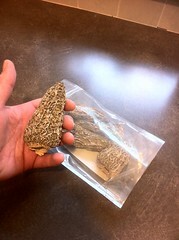 Morels are one of my favorite mushrooms and I've always wanted to grow them in massive amounts. I worked as a wildcrafter for ten years and the best places for morels were always forest fire sites that had burned the previous year. In fact, I carefully research all regional burn sites all winter long so I'll know where to go in the spring. (According to Michael Kuo, author of "Morels", the forest fire/morel phenomenon does not occur in the eastern part of the United States, however.) Apparently, after their partner/host trees die from fires, disease or logging, the morels put out as many mushrooms as possible in order to spread their spores into colonizing new areas and so they can find new symbiotic partner plants to grow with. Recent research shows that certain species from the "common morel" complex (Morchella esculenta) form mycorrhizae with apple, peach and other fruit trees. I think that this topic needs more research, as I would dearly love to have morels pop up every spring in my orchard!! (That way, I wouldn't have to burn so much gas driving to remote burn areas, either!) I've always dumped spore emulsion and planted stem butts from morels around the trees and burn sites on my property and at my girlfriend's place, but with very limited success. I've got several genetic dwarf peach trees in large pots in my greenhouse, so this spring I plan to inoculate them with stem butts and spore slurry from "common" morels. By the way, author and permaculture farmer Sepp Holzer has successfully cultivated birch boletes (Leccinum scabrum) around the base of birch seedlings on his farm in Austria. Sepp takes the mycelium from a mulched area where the birch boletes are already growing and then he transfers this mycelium/mulch mix into areas around the bases of newly planted birch seedlings. 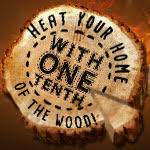 Check out "Sepp Holzer's Permaculture" for more info on this interesting method. (He makes this special mulch from sawdust soaked in liquid manure made from symbiotic plants and forest soil.) I just might try this mulch-and-transfer method myself. Sounds like we are on similar reading lists, kids just bought me Kuo's "morels" for my birthday and I have sepp's book on order. My wife will take comfort in knowing someone else shares my morel obsessive compulsive disorder. As we were doing a large planting of native tree's on our property anyways I have taken the opportunity to desgn part of it as morel habitat. Just finished excavating a series of washes and swales through the area and got halfway through planting a morel guild consisting of tulip poplar, Aspen, cottonwood and ash before it got too cold. The trees will all be drenched with morel slurry in the pot then planted and mulched with wood chips and mulched apples then a second mass slurry application done over the whole area. Somewhere I read that the mulched apples have been proven to support initial mycelial growth before the mycelium penetrates the ground looking for root host. Not sure what to plant for groundcover but likely some type of ground ivy. Your plan to grow morels under native trees that are symbiotic with them sounds really cool and I hope it works. I'd like to try something similar here with black cottonwood and Pacific madrone trees, two of the most productive partner trees for morels in this area. Once the cottonwoods (or aspens and tulip poplars) get big, they can be coppiced to increase morel production and the logs can be used to grow oyster mushrooms. I think you're going to like the Sepp Holzer book a lot- the section on mushroom growing is really interesting. Good luck! What you're doing sounds great, we do want to see how they come out. You are giving the mushrooms every chance, they should be happy with what you offered them. pv agroforest wrote: A few updates on the project..
it looks like you direct sowed that korean pine, do you have a thread about these trees and such? Found small Morel patch: to harvest, or not to harvest? New Zealand based cultivation of a variety of species.